Jet engine like motion using a form of jet propulsion (proposed by Carl von Nägeli in 1849, modified by C.Th. von Siebold in 1853), long before the jet engine was invented! Rocket ship model: O. Bütschli (1892) and Robert Lauterborn (1896) proposed that a sticky jelly-like substance, extruded quickly in fine threads at the nodules of the raphes, propels the cells by mechanical recoil. 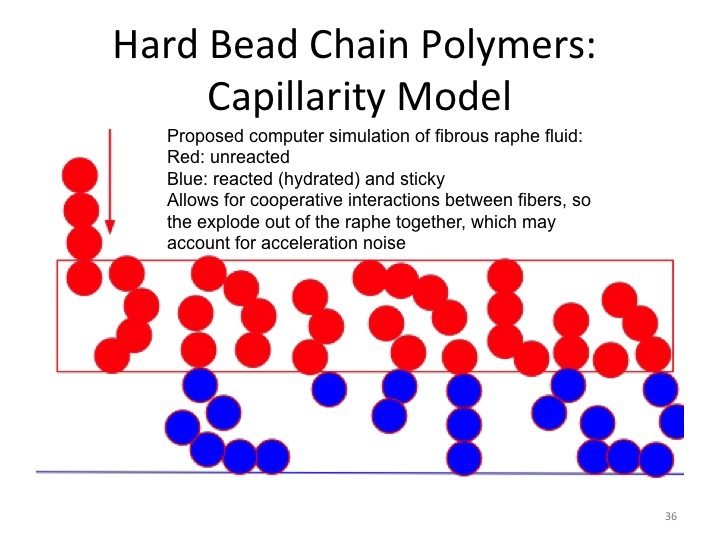 A new competing model by Lesley Edgar and Jeremy Pickett-Heaps (1983) proposes that the raphe fibers are passively carried by myosin motor molecules. 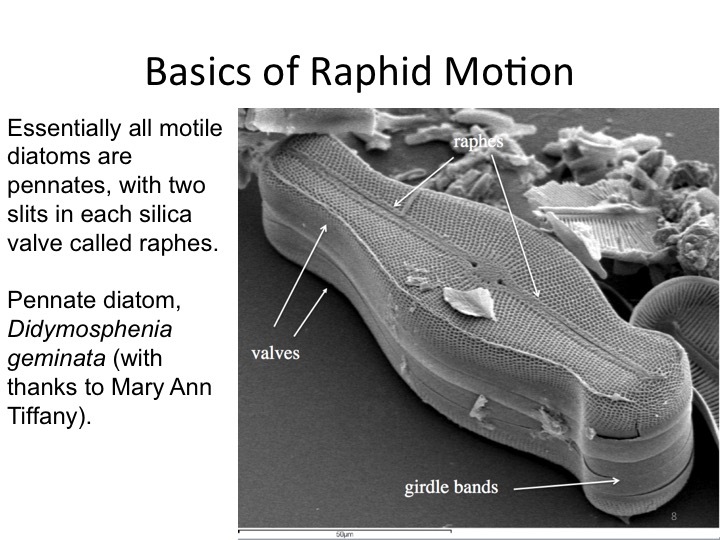 The problem of diatom motility is still unsolved. We may be seeing very high speed forward and backwards movement. So maybe the rocket propulsion model is right: strands of mucilage are extruded along the raphe. They hydrate on contact with water exiting the raphe in chemical explosions. These repeated explosions move the diatom along in spurts. The mucilage is left behind as the sticky “diatom trail”. Its elasticity sometimes pulls the diatom backwards as the connection with the trail is stretched and breaks. If you would like a copy of the full presentation, please send us a message. This entry was posted in Nerdy Tumbleweeds and tagged diatoms, neat science on September 15, 2015 by tumbleweedstumbling.